A new Accenture survey of nearly 2,000 technology and business executives in 10 countries revealed deep uncertainty about next-generation mobile network technology, known as 5G. Few of those surveyed, for example, believe industry predictions about the dramatically improved speeds of 5G networks. And more than half don’t expect the technology will enable them to do much that they can’t already do. Nearly three-quarters said they need help imagining 5G use cases. These findings suggest that many business leaders neither understand the technology nor its disruptive potential. 5G, when fully implemented, is poised to be a very big deal, a far bigger transformation in mobile technology than any previous generational shift. Its speed, capacity, and dramatically reduced power consumption and communications response times, or “latency,” will make possible an astonishing range of innovative new products and services. The economic and social benefits could be enormous. 5G networks rely on much smaller, but more densely-deployed, antennae, most attached not to giant cell towers but to existing buildings, light poles, and other physical infrastructure. By packing or “densifying” the network, signals will be carried faster and more reliably, with bandwidth measured not in megabits but rather in gigabits per second. Early tests suggest that 5G networks will be as much as 100 timesfaster than today’s mobile technology. 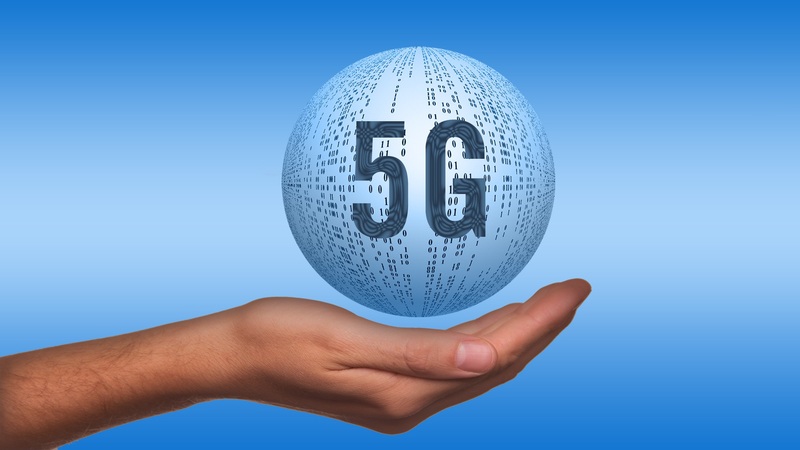 Part of the disconnect in company leaders’ perceptions is no doubt the result of early marketing, with some carriers already offering “5G” products before the full technical specification has yet to be completed. Wall Street and others have expressed skepticism, unsure of where the true value of 5G will come from, and who will profit from it (more on that in a moment). In fact, these remarkable technical features will allow next-generation networks to compete head-on with wired broadband systems, including those built with today’s fastest fiber-optic technology. More to the point, 5G’s revolutionary technology will also make possible the kind of disruptive applications that usually leave both investors and users salivating. So why the gap between 5G’s possibilities and the lack of urgency and understanding among the executives in our survey? The answer, we think, is that much of 5G’s biggest impact will be diffused across a range of industries and user communities, making its future value both difficult to see and hard to measure. Our forthcoming book, Pivot to the Future, finds that similar mismatches between the potential of new technologies and their actual, realized benefits are growing, including with artificial intelligence and quantum computing. Most senior executives we surveyed are looking at these technologies through the lens of incremental improvements to today’s business, rather than imagining how they could be used to reshape industries and, even more broadly, how they could be applied in the search for solutions to broader social problems, including the environment, poverty, and health care. This is largely due to the limitations of conventional business thinking. When new innovations disrupt multiple industries or make possible applications that serve new groups of customers (including those who may be un- or under-served today), traditional approaches to strategy and planning underestimate their real impact, leading to delayed investment and missed opportunities. To take just one example, 5G networks will supercharge the nascent Internet of Things, where everyday devices become connected, sending and receiving data to highly-local networks and from there in secured form throughout the cloud, including to service providers and device manufacturers. Where today’s IoT offerings, including connected doorbells and thermostats, are often simple and sometimes even gimmicky, a fully connected residence will generate tremendous benefit, especially to aging baby boomers who hope to stay in their homes as long as possible. That kind of use case could release tremendous trapped value we’ll all share, including the potential for reduced health care costs, improved quality of life, and more diverse and inclusive communities. But because the industries affected and the users benefiting most from these applications are so diffused, few businesses today, including the network operators themselves, can see the value gap that is growing larger every day. Those kinds of benefits, though large, are difficult to calculate in a typical strategy exercise. Even more challenging to factor in is one of the greatest hopes for smart transportation: a dramatic reduction in vehicle fatalities. In the U.S. alone, just a 10% decline in roadway deaths would translate to 4,000 lives saved every year. While we have a way to go before autonomous driving technology is available at such a scale, that kind of positive change would impact everything from insurance to vehicle design, releasing trapped value that would be difficult to overestimate. Beyond smart homes and cities, the speed, capacity, and reliability of 5G networks will accelerate new innovations in equally-impressive ways elsewhere. Agriculture, for example, could become substantially more efficient from connected sensors in the ground, drones patrolling crops, and integrated weather tracking technology. Mobile entertainment also stands to be enhanced by 5G’s speed, and in particular its reduced latency, to offer ever-higher-quality video, supplemented with new types of interactions from augmented and virtual reality. There’s no shortage of predictions about the potential for 5G networks. But like many new technologies, and as our survey makes clear, there’s also a great deal of uncertainty about the when, how, where and who. Full 5G deployment may be five years away–maybe more depending on how regulators and local governments respond to both the opportunities and challenges. The applications we’ve identified may come sooner or later, along with the many that haven’t even been thought of yet. Still, if incumbent businesses don’t pick up the pace in preparing for 5G, the resulting gaps will inevitably attract new entrants and start-ups, unleashing the kind of sudden disruptions that have unsettled mature industries including entertainment (iTunes and Netflix), transportation (Uber and Lyft), and manufacturing (3D printing), to name a few. That’s why we recommend an aggressive but measured approach to planning for and investing in 5G today. It makes little sense for companies in affected industries (increasingly, all of them) to bet on one particular technology or application. But at the same time, the old approach of waiting for new 5G-powered markets to emerge and jumping in later as a so-called “fast follower” won’t work either. That’s because even when disruptors are slow to gain traction, once they do, the race to profit is often over as soon as it starts. If you weren’t already warmed up and on the starting line, your chances of winning will be virtually zero. What’s more, many of the new applications 5G technology makes possible will be nurtured by interconnected ecosystems that cross traditional supply chain and industry borders. Any hope of capturing even a fraction of the value 5G will ultimately release will require early and sustained intervention, perhaps in the form of industry consortia, along with a balanced portfolio of corporate venture funding. The time is now to begin identifying partners, and experimenting with new forms of collaboration and co-investment. You need to keep improving on today’s business, while keeping a closer watch on how 5G markets emerge. That’s the only way to be ready to scale rapidly with new offerings as the unknowns dissolve over time.